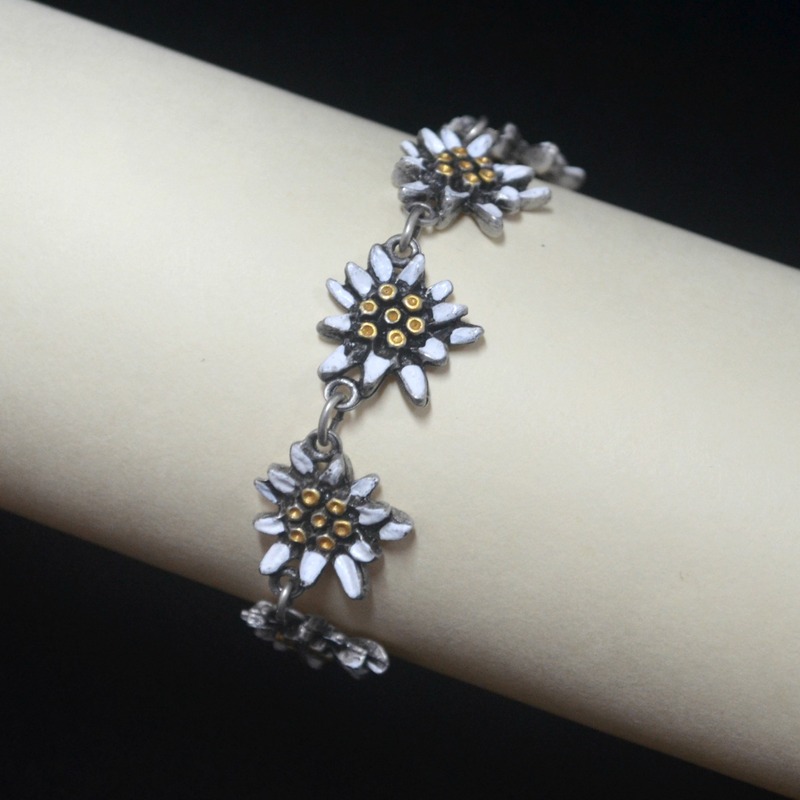 This bracelet is a great accessory for any of our edelweiss dirndls or to show off your German heritage with your everyday outfit. Bracelet measures 7 inches in length with an additional inch and a half extender. Lobster claw clasp. Features 7 painted edelweiss pewter charms. Imported from Germany.